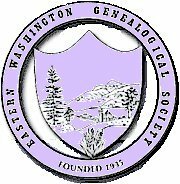 Whose later life was devoted to continuing the horticultural efforts of eight generations of family predecessors, and to transforming their springtime garden into one of beauty for all seasons." 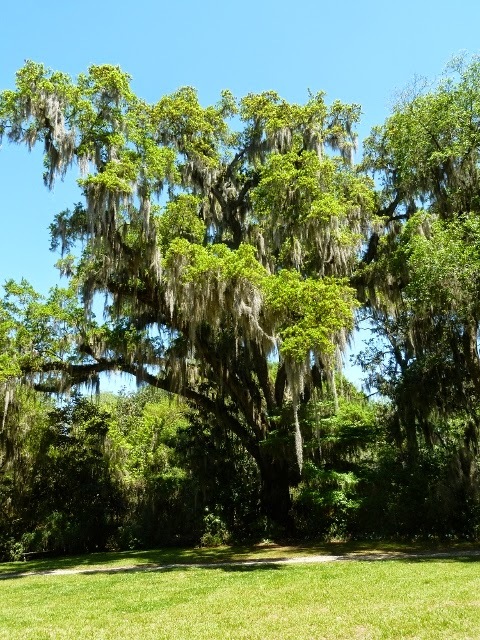 Last May when I visited Charleston, South Carolina, I visited the magnificent gardens nearby. 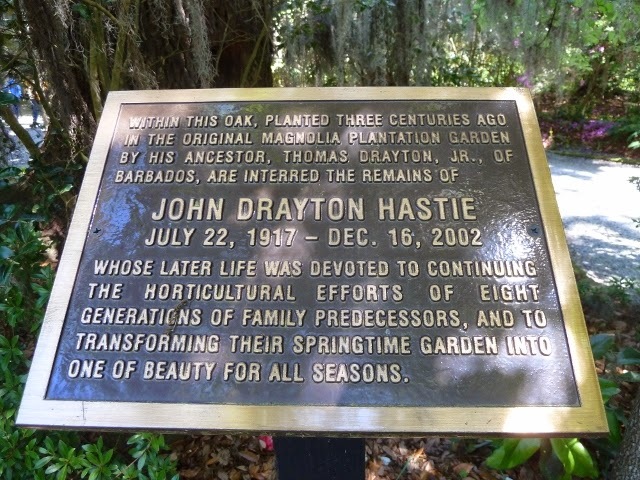 In Magnolia Gardens, I spotted this and thought it was a most unusual burying place and photographed it to share with you. 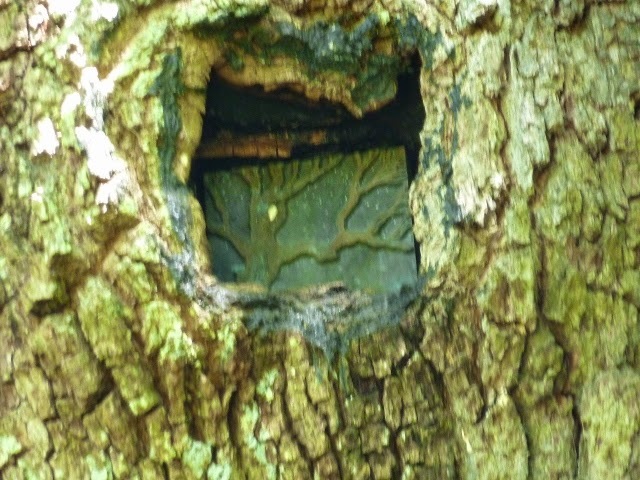 I would guess that in time, the hole in the trunk of this oak will close around the memorial plaque and box of John Drayton Hastie. Personally, I like the idea of living forever in a tree. No one of you better own up to remembering this Monroe Street bridge over the Spokane River! This "rickety wooden affair" was erected in 1889 and burned down in 1890 to be replaced by a steel bridge. Click to www.historylink.org and then "Monroe Street Bridges" to read a great article all about our several bridges that crossed the Spokane River below the falls on Monroe Street. 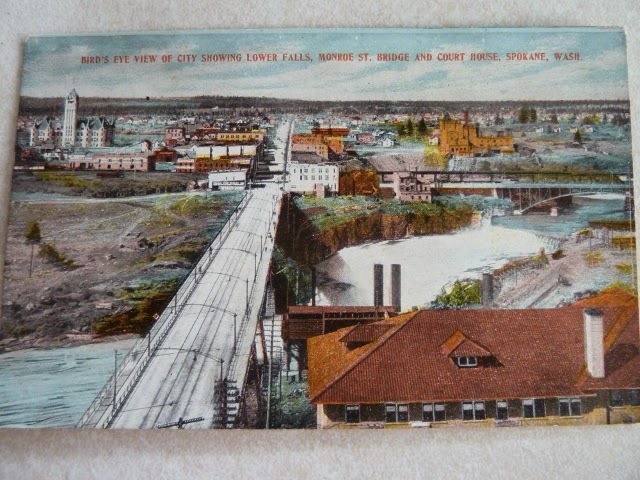 The back of this undated postcard reads: "This city is located on the Spokane River, which plunges through the center of the town in a series of three cascades, falling 132 feet in a quarter of a mile, and in one and a quarter miles 150 feet. The climate in this sheltered valley gives cool summers and mild winters. The business part of the city is along the lower stretch of the river, where the great water power of the fall is turned." 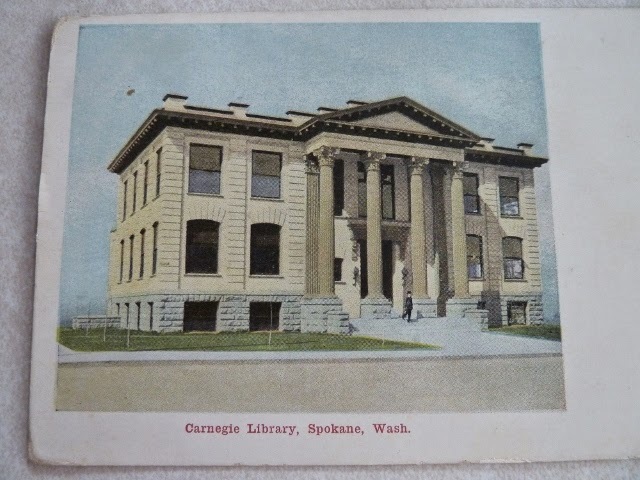 What buildings from this postcard image do you recognize? I see the courthouse and the flour mill is all. Look how empty the city is on the horizon! I came upon this old postcard in a junque shop in Virginia and boy, did it bring back memories. This Carnegie Library was built in 1905 and is near Browne's Addition. Today it is tree shaded and houses legal offices. Does anybody but me remember it as a library? In 1956 I attended 8th grade in Browne's Addition elementary school just a hoot and holler west of this library. The 2-story school is no longer there but the gym part of the building is still there and faces a parking lot. In 1956 I was having much dental work done and once a week or so would walk downtown to the Paulsen Building where I would sit in the chair facing out onto the clock tower of the old railroad station while Dr. Stone (still remember his name!) put a horrid black rubber dam on my mouth and worked on my teeth. Living in Air Force housing on Fort George Wright as we did at the time, Mom would come fetch me after my dental appointment. Sometimes I got to go after school to this library and mom would fetch me from there. It was glorious. I don't remember a single thing exactly about the library except that it smelled good, like books should, I guess. Would love to hear from anybody who attended Browne Elementary and visited this Carnegie Library back in the day.